Picture this: You’ve spent a nice weekend relaxing and enjoying the weather with your family. For your dinner plans, you’ve decided to take advantage of the weather that’s warming up while we have it, and you’re firing up the grill for dinner tonight. You’re sitting down to a delicious meal of grilled walleye to enjoy with the company of your family. The only thing that could make this meal even better is the fresh, light, slightly sweet wash of your favorite glass of wine. There are many choices for fish and wine pairings that will ensure your weekend continues to go swimmingly. The age-old saying, “Red wine with meat, white wine with fish” is a general rule that is great to follow for flaky freshwater fish like crappie, bass or walleye, but some rules are meant to be broken. According to food writer Fiona Beckett, it’s okay to allow your fish to swim with a different pair, but only in certain situations. For meatier, less flaky cuts such as salmon or trout, a Pinot Noir could add just the right body and taste to your meal. 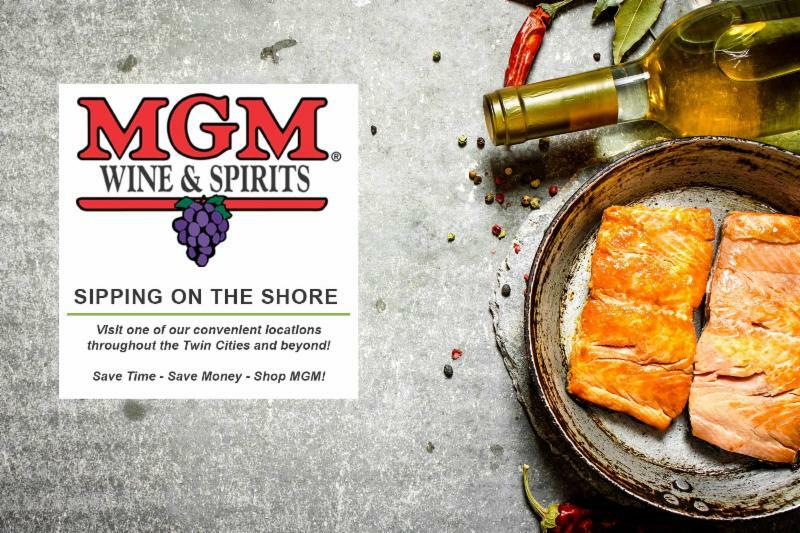 If you’re roasting, searing, grilling or barbecuing fish-like you might for eelpout, bass or walleye-a light, chilled red wine such as Pinot Noir, or a rosé can work well with your favorite Minnesota fish cuts. For fish made with a spicy or warm blend of herbs, a red can help to balance the heat. Sauces made with white wine are an easy choice for fish dishes, but a red wine sauce can be a fun twist on a classic to bring body and a more robust flavor to your meals. For white wine enthusiasts, there is a plethora of choices for you as well. 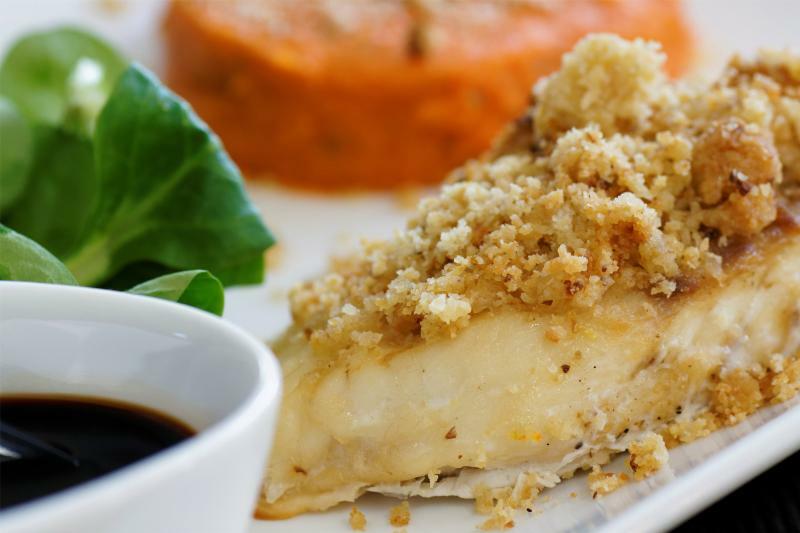 A flaky, lean cut such as crappie and walley pairs effortlessly with Chardonnay or a dry Riesling. For eelpout, lovingly nicknamed “poor man’s lobster,” Sauvignon Blanc or another dry white wine will help to balance the rich taste of the fish. These short, general tips are only the diving off point for the endless fish and wine pairing possibilities. Focus on balancing the flavors of your dish with a glass of wine, and you can’t go wrong. Thousands of people gather in Walker, Minn. every winter to take part in their Eelpout Festival to celebrate the quirky, yet tasty, bottom-feeder. With fish opener right around the corner, it’s time to start planning your fishing trips around Minnesota. 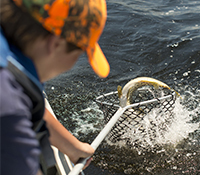 To help aid in your search, check out the DNR’s “Fishes of Minnesota” mapper-an interactive map to help you find where to catch your favorite Minnesota fish. Place flour in bowl or shallow dish and season with salt and pepper to taste. Add egg to a medium bowl and beat slightly. Place chopped pecans in separate bowl. Dredge walleye in flour mixture, shake off excess, dip in egg, then coat in pecans. Melt butter in large pan over medium heat and sauté walleye for 6 minutes per side. Transfer fillets to a plate and cover to keep warm. Drain excess grease. Add scallions and pear, cooking for 1 to 2 minutes. Add wine and cook about 2 to 3 minutes. Add cream and season with salt and pepper to taste. Add lemon juice. Just before serving, add the blue cheese and spoon sauce over the fish.